Many people get fevers when they get sick. They make us feel worn down, achy and tired. At the first sign of a high temperature, you might feel compelled to whip out a thermometer and worry about how high the fever might get. But do you know what actually qualifies as a fever is and why it occurs? Is it really something to be worried about at all? The "normal" body temperature is 98.6 degrees Fahrenheit (or 37.0 degrees Celsius). But in reality, body temperature is considered in the normal range if it is anywhere between 97.0 and 100.3 degrees Fahrenheit. 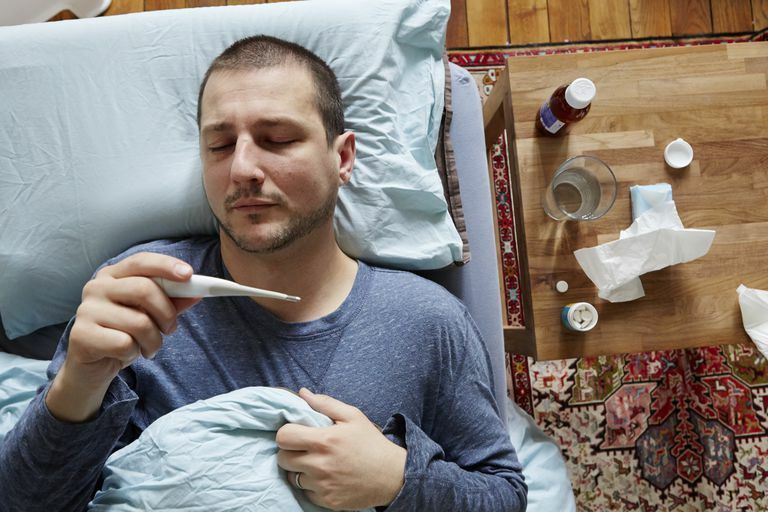 If your body temperature is more than 100.3 degrees, you may have a fever. A fever simply means you have an elevated body temperature. It is not an illness. There are many ways to check the body temperature. The results different methods deliver vary by about a degree depending upon the part of the body that you are testing, but whatever method you use, you will still get you a good general idea of your temperature. The most commonly used thermometers check temperatures orally, tympanically (in the ear), temporally (on the forehead or temple) or rectally. Learn more about how to check a temperature the right way. Lots of people worry about a fever and how it will affect the body. Everybody wants to know: How high is too high? It's an understandable concern because of how terrible fevers make us feel. The answer, unfortunately, is not a single number. For most people, fevers are not going to hurt us and we don't need to be concerned about the number on the thermometer. Infants under 3 months old: Any temperature over 100.3 degrees Fahrenheit. Call your doctor or seek medical attention right away. 3 months to 3 years: Any temperature over 102.2 degrees Fahrenheit. Call your doctor and ask if an appointment is necessary. With kids, it's always important to look at how they are behaving when they have a fever. If the thermometer says 102, but they are running around, playing and acting normally, it's okay to let them do that. If they are laying around and won't smile or do anything, you should consider treating them with a fever-reducing medication. If that doesn't help them feel better, seek medical attention. Never give a child under 18 years old aspirin - even baby aspirin. It can cause a serious illness called Reye's Syndrome. Children under 6 months old should not take ibuprofen, i.e. Motrin or Advil. Children under 2 months old should not be given any type of fever-reducing medication. Never put a child or anyone else in an ice or alcohol bath to bring down the fever. This is unnecessary and it can be dangerous, making the body temperature drop too quickly. In general, fevers aren't a reason for concern. They are the body's way of fighting off infections. When you look at them that way - instead of as a reason to worry - it is much easier to decide when you should call your doctor, when you should treat it yourself and when you should just leave it alone. Body Temperature Normals MedlinePlus 22 Jan 13. US National Library of Medicine. National Institutes of Health. Fever MedlinePlus 10 Jul 13. US National Library of Medicine. National Institutes of Health. Fever and Taking Your Child's Temperature Your Child's Body Jan 13. KidsHealth. The Nemours Foundation.